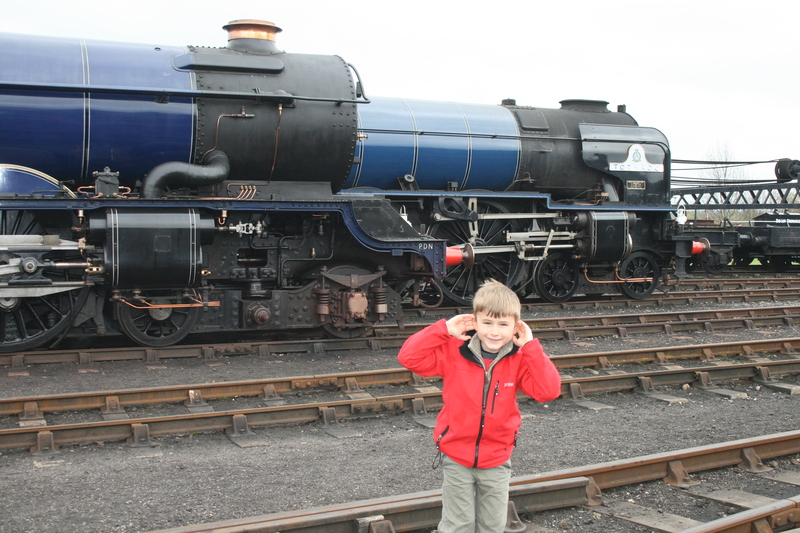 Owen and I had a wonderful day at Didcot Railway Centre today. 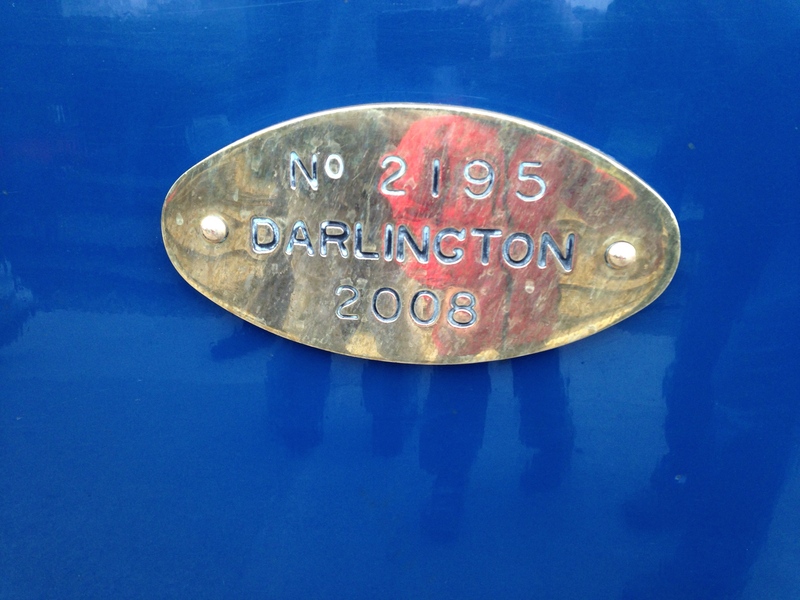 We were there for the Once in a Blue Moon event, bringing together three very special locomotives in the very attractive early British Railways blue livery. 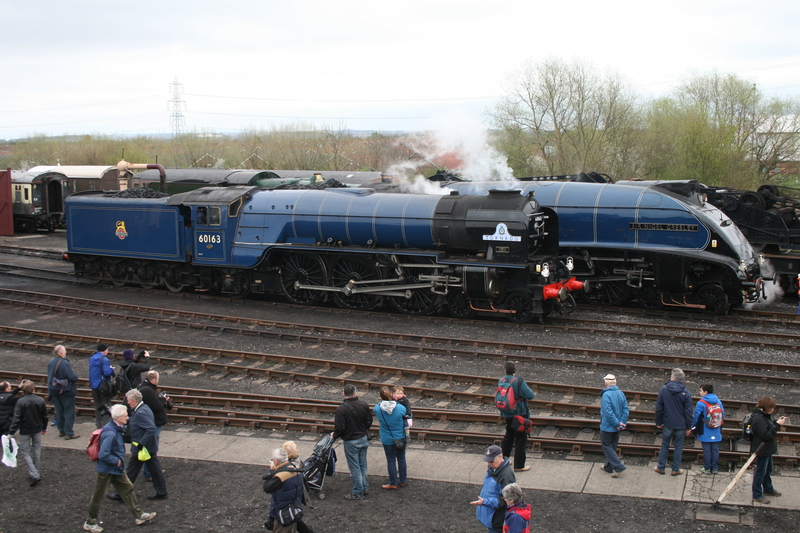 GWR King Edward II was joined by LNER A4 Sir Nigel Gresley and Tornado, the 21st century Peppercorn A1 pacific. My association with King Edward II goes back 35 years to childhood visits to Barry scrapyard, as I explained in my blogpost about the engine’s rebirth at Didcot three years ago. We were also renewing acquaintance with Sir Nigel after our visits to the Great Gathering of the six surviving A4s in York last October. 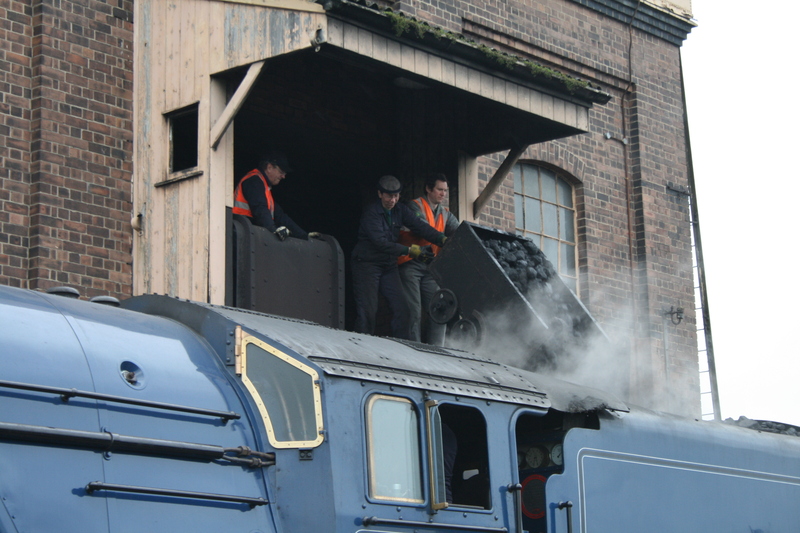 But this was our first introduction to the magnificent Tornado, an engine that amazingly is the same age as Owen, having been steamed for the first time in 2008. Today was made possible by a lot of amazingly dedicated people in the railway preservation movement, including the Great Western Society, the A1 Steam Locomotive Trust and the Sir Nigel Gresley Locomotive Preservation Trust. Thank you. 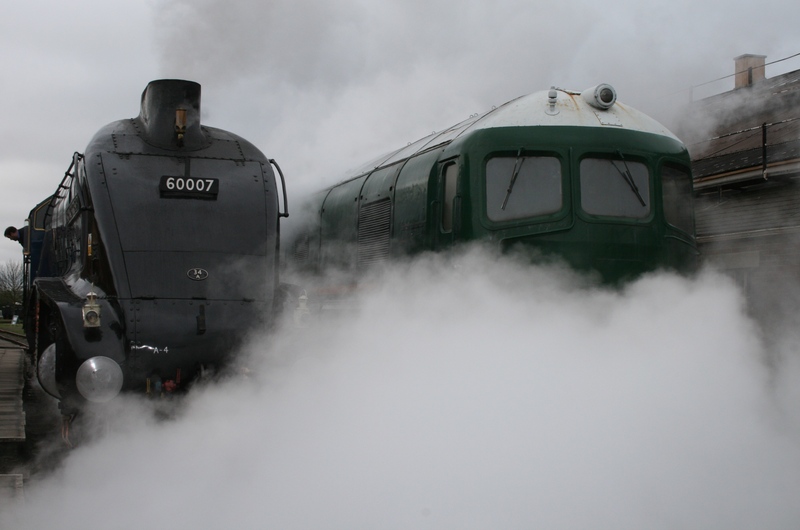 Finally, it’s remarkable to think that Tornado entered service over 60 years after the GWR ordered a gas turbine locomotive, 18000, as its first move to replace steam traction for express trains. This entry was posted in Railways and tagged Didcot Railway Centre, King Edward II, Once in a blue moon, Sir Nigel Gresley, Tornado by Rob Skinner. Bookmark the permalink.